The Legion Y730 provides the latest in gaming technology from Intel and NVIDIA® wrapped in as it packs 8th Gen Intel® Core™ that has NVIDIA GRAPHIC SUPPORT WITH NVIDIA® GeForce® GTX 1060 for heavy gaming. 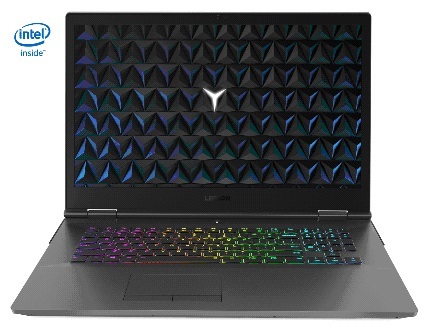 Legion Y730 Laptop is expertly crafted all-aluminum materials, forging a gaming laptop that makes it amazingly powerful and impossibly thin and light as well as safe. It also features Lenovo Nerve Sense to customize your setup. Legion Y730 has an optional 1TB PCI-Express SSD storage feature, that provides an ample storage space that enables user to store all games and data on it. Y730 also has faster booting, faster processing and faster game loading capability. For sound it packs Dolby Atmos technology in it. For gaming you can use your mouse and keyboard as well as wireless gaming controls. It also support to gaming consoles. It has over 16 million color combinations and effects visible from keyboard to ambient thermal lighting, for the ultimate customizable gaming experience. It is now at INR 96,025 + GST at the wide network of Lenovo Exclusive stores and multi brand stores such as Croma, Reliance Digital and Ezone/or order online at www.lenovo.com .